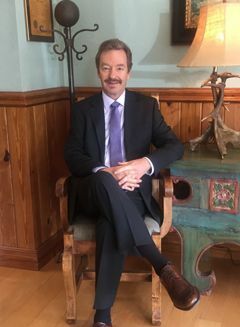 Mark J Nowicki PA the Top Jupiter Estate Planning Attorney has represented clients throughout Florida since 1983 with respect to their tax and estate planning needs. The firm represents varied and diverse clients including professionals, closely held businesses and their owners, individual taxpayers, estates, beneficiaries and others. The firm has particular expertise in representing clients with agricultural interests. Mr. Nowicki has expertise in all facets of business and individual tax planning including business succession planning, executive compensation planning, life insurance planning, estate settlement, probate and real estate matters. The firms transnational and estate planning documents are crafted to ensure compliance with each client’s unique and individual requirements. Overall and most importantly Mr. Nowicki is dedicated to providing competent, innovative and comprehensive representation of his clients with respect to their business, tax and estate planning needs. Since 1983, Mark J Nowicki PA has been providing a comprehensive range of legal services concentrated in tax planning, estate planning, trust and probate administration and general commercial practice including real estate. Prior to that time, Mr. Nowicki practiced accounting with Touche Ross & Company, Certified Public Accountants in Miami. Mr. Nowicki has assisted a multitude of clients and their families with their tax and estate planning needs. Mr. Nowicki is a member of the Tax Section of the Florida and Colorado Bar Associations. Mark J Nowicki PA is a title agent for Attorneys’ Title Insurance Funds, Inc. and has significant experience in transactions involving purchase, sale and financing of agricultural property.